This quick and easy-to-piece sampler quilt will give you plenty of opportunity to build your ninja quilting skills! It is designed specifically to give you spaces perfect for working on stitching in the ditch, straight or curved ruler work and lots of wide open space, especially in that center square. 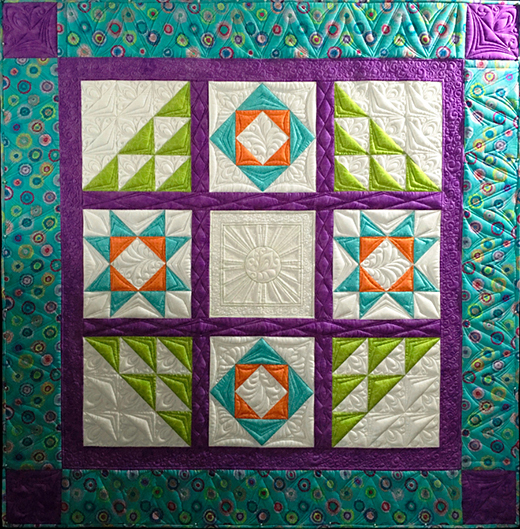 This efef Pattern courtesy of Tracey Russell of Whirls ‘n Swirls Quilting.